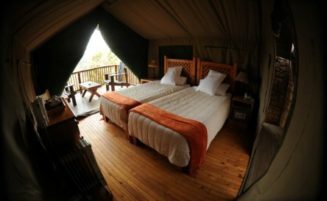 Inkwenkwezi Private Game REserve, Eastern Cape – Inkwenkwezi Private Game Reserve is one of its own class Big Five Private Game Reserves with an emphasis on luxury and thoughtful detail. 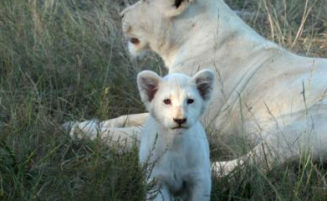 At Inkwenkwezi Private Game Reserve , we have a large variety of plant and wildlife. We get as close as possible to the animals without disturbing them, affording you a once in a lifetime experience. We have over 11 vehicles from which you can enjoy your game viewing. We have an abundance in variety and quantities of wildlife. 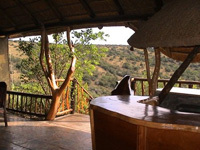 Inkwenkwezi Private Game Reserve is situated in a prime, malaria free zone in the Eastern Cape Province of South Africa. The reserve offers many unique opportunities as it encompasses five different regional eco-systems (biomes) and a tidal estuary. Inkwenkwezi‘s rich diversity of landscapes offers you an unparallelled wildlife viewing experience. Inkwenkwezi Private Game Reserve is one of its own class Big Five Private Game Reserves with an emphasis on luxury and thoughtful detail. Walk on the wild side and enjoy the outdoors. Come and explore the beauty of the reserve on foot. Enjoy a guided hike through the reserve with one of our trained guides. Your guide will inform you on the ecology, fauna, flora, bird and wild life in the reserve. From our open 4×4 vehicles, game viewing can be enjoyed either on our morning or afternoon game drive. Optional activities can be added on to personalize the package . Nestled along South Africa’s breathtaking Wild Coast, Inkwenkwezi Private Game Reserve is one of its own class Big Five Private Game Reserves with an emphasis on luxury and thoughtful detail. 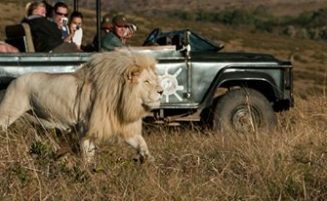 Inkwenkwezi Private Game Reserve is situated in a prime, malaria free zone in the Eastern Cape Province of South Africa. The reserve offers many unique opportunities as it encompasses five different regional eco-systems (biomes) and a tidal estuary. Inkwenkwezi‘s rich diversity of landscapes offers you an unparallelled wildlife viewing experience. Inkwenkwezi Private Game Reserve is a short distance away from magnificent beaches and a short convenient drive to and from the East London Airport. 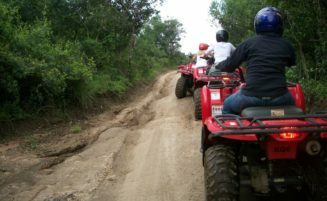 Don’t miss out on canoeing, quad bike tours and the most beautiful Bush hikes. Experience the wild – up close! We host the Big 5. Come and enjoy the large variety of plant and wildlife at Inkwenkwezi Private Game Reserve, including a rare Umtiza Tree forest.